You don't need to go out and buy a brand new motor, autonomous or otherwise, to add some tech smarts to your driving experience - there are now a bunch of gadgets out there to keep tabs on your motoring, as well as apps that work with nothing but your phone. Think of them as like fitness trackers for your driving: you can see where you're wasting fuel, where you can be safer, and generally end up a better driver (you might even get some money off your insurance too). Check out our favourite picks from the list below. Many telematics apps are developed by insurers - because safer driving means fewer accidents and cheaper insurance - and that's the case with Aviva Drive for Android and iOS. You don't have to be an Aviva customer to give the app a whirl, though you might be able to get an insurance discount from the company if your scores are good enough. 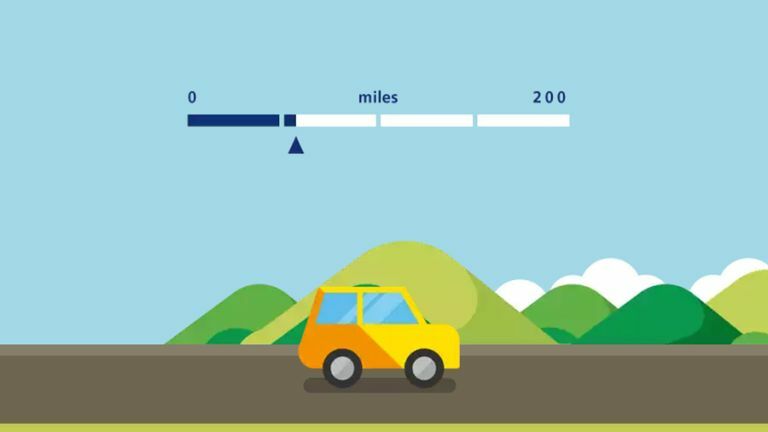 Aviva Drive tracks your driving routes, driving times, acceleration and braking, fuel consumption and more, piling all of this data into an overall driving safety score after 200 miles. With or without the driving discount, it's interesting to look back on your recent journeys and track how your driving performance might have changed over time. Sat nav experts TomTom also have a foot in the car monitoring world with the Curfer - this unassuming-looking black box plugs straight into your motor's diagnostics port (it's compatible with most models on the road today), feeding back a wealth of information you can use to improve your driving or just get a better idea of how reckless you've been. The Curfer itself pairs with a free app for Android or iOS, and data coming from your phone (like the speed it's travelling at) is then used to augment the other information your car's providing. You get scores out of 100 in key areas such as acceleration, braking, cornering and idling, and there are a lot of details coming from the engine diagnostics too. Anything Aviva can do... Tesco can also do. Tesco Drive works in very much the same way as Aviva Drive above, and even borrows the same naming convention: it runs on your iPhone or Android phone, takes note of your driving, and then offers you a discount on your next car insurance premium if it deems that you're being safe enough on the road. The app measures different aspects of your driving, including cornering, braking, speeding and acceleration, and then gives you a colour-coded rating based on the familiar traffic lights system - red means you're a bad driver, by the way. Tesco's app keeps monitoring for a little further, 250 miles instead of 200, but the basic technology behind it is the same. Up-and-coming startup Flo wants to make you a better driver, save you petrol money, and give you a log of all your trips to look back on and analyse. You can get scores on all of your trips, and its developers say those scores are accurate enough to earn you a discount on your car insurance in certain cases. The free Flo app is available on Android and iOS. You can sign up for Flo with your Facebook or Google credentials, or just an email address, and your data is also available through the web so you don't always have to be pecking at your phone to get at it. The app itself is beautifully designed and starts up automatically when you set off on your drives, so you don't need to remember to launch it every time. Wejo is a lot like Flo, though a little more targeted towards businesses and insurers - it's just getting off the ground, but it has telematics apps for iOS and Android available already, and you can use them to log your driving, try and improve your technique, and even earn rewards for using the app and taking up some of the special offers inside it. At the moment there isn't too much in the way of detailed analytics regarding your driving, but you do get a driving score, and a quick overview of the trips you've taken recently (if you have to drive for work, it can come in very handy). Not the most polished quantified driving app out there at the moment but one that's worth keeping an eye on in the future. Unfortunately one of the best quantified driving solutions is US-only for the time being, at least officially - if you can get one, it may well work on your non-US car, but we can't guarantee it (and you might struggle to get the app working). Automatic uses both a dongle that connects straight to your car's engine and an app that works across Android, iOS and the web. Via the adapter, Automatic helps you diagnose mechanical problems, get information on trips and petrol costs, and see just how often you're exceeding the speed limit and braking too late. It ties in with a whole host of other apps as well, from ones that help you improve your driving to those that log your business expenses, all with Automatic's assistance.